“I was wrongfully accused of five criminal misdemeanor counts including two for assault, two for battery and one for false imprisonment. I first contacted and met with Attorney Matthew Wallin at Wallin & Klarich after my arraignment date had already been set. This was my first experience in dealing with the criminal justice system and being in trouble with the law. I was slow to react to the wrongful accusations and did not fully understand what I was about to face. In addition, I was initially confused and fearful of my situation. 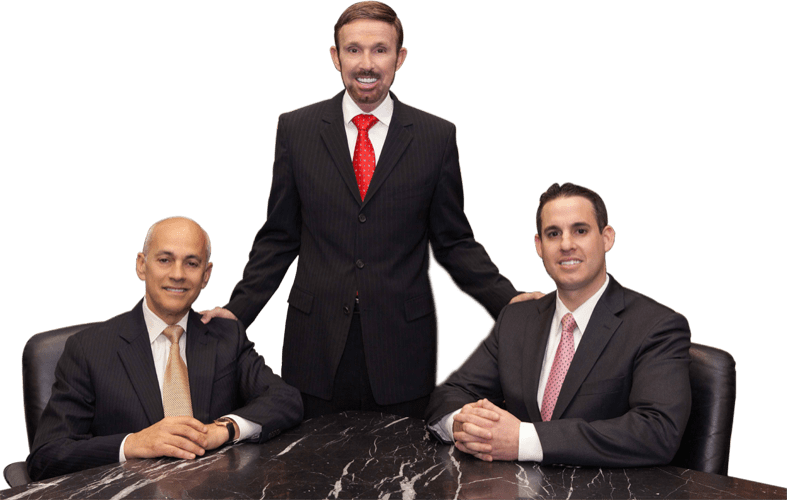 From my first meeting with Attorney Matthew Wallin, I immediately felt very comfortable and confident that he was the best attorney to handle my case. Attorney Wallin explained all aspects of my case and answered all my questions. After my first consultation with Attorney Wallin, I finally felt some relief about what I was about to face. I also began to understand the legal process that was to follow. I hired Wallin & Klarich immediately following the first meeting. From beginning to end, Attorney Wallin was very professional, patient, a terrific listener and an excellent communicator. My correspondence with Attorney Wallin was frequent and he always made time in his busy schedule to discuss my case. He was also very organized and kept me updated every step of the way on my case status. “My experiences with Wallin & Klarich have been nothing short of wonderful. I was caught in the act of stealing and was arrested and charged with 3 counts of felony commercial burglary – all at the age of 18. I was a star athlete and top student with no previous record whatsoever. You can imagine how terrified I was. My family and I immediately sought legal counsel and decided on Wallin & Karich. Before I had even arrived for my consultation, the office had gone through my case and expertly matched me with attorney Matt Wallin, who has extensive experience with the same court that I was assigned to. My favorite part about first meeting Matt was that he was not judgmental in any way, shape or form. He took the time to make absolutely certain that my father and I fully understood the charges and the timeline of the proceedings to come. He was warm and kind, but very professional and reassuringly confident at the same time (quite a rare combination in a lawyer). He answered every single question that my father and I threw at him with a confidence. That told us that he was extremely experienced and knowledgeable in this area of law. When the court date finally arrived, Matt was on time and looking professional. I observed as he interacted with others in the court and I got the sense that he is a regular in that room and that he is very comfortable in that environment. It was very encouraging. When my case was called, I watched as Matt went to battle for me. He fought for the best possible outcome and that’s exactly what he got for me. My 3 felony charges were dropped to ONE MISDEMEANOR. Instead of jail time and formal probation, Matt was able to get me 14 days of a work program, informal probation and 10 self-help meetings. I couldn’t have asked for anything better, considering the charges. My family and I were so relieved. Thank you Matthew Wallin for a great job representing me! Thank you Matthew Wallin for a great job representing me! My family and I are extremely happy that we hired you. Your professional service was key to getting us the best possible outcome in our case.